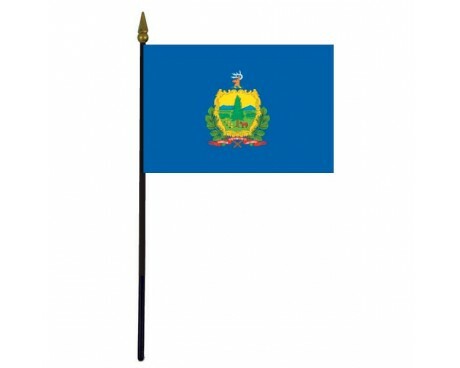 Vermont State Stick Flag - 4x6"
The history of the Vermont state flag, like that of the state itself, stretches back as far as the Revolutionary War. The first state flag of Vermont began as a military banner that was carried by a famous group of militiamen, but the flag has long since changed to more strongly resemble the flags used by the other states. 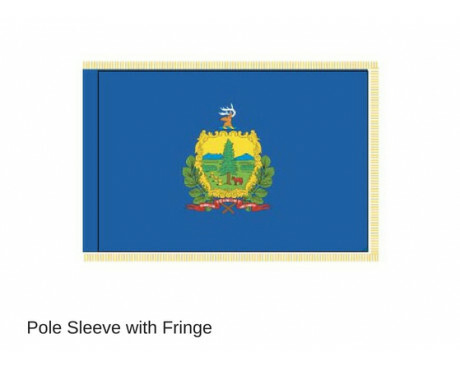 The current Vermont state flag is similar to many other state flags in that it consists of a blue field that displays the state's coat of arms in the center. The coat of arms displays a cow and three sheaves of wheat underneath a pine tree. It is crowned by a deer's head. The deer's head represents the wildlife of Vermont, while the cow and wheat represent the state's agricultural output. The pine tree is a symbol of New England in general, but it is also a reference to the Battle of Plattsburgh in the War of 1812, when the American militiamen identified themselves by carrying pine branches. The state's motto, "Freedom and Unity" is written below the state's coat of arms on the flag. 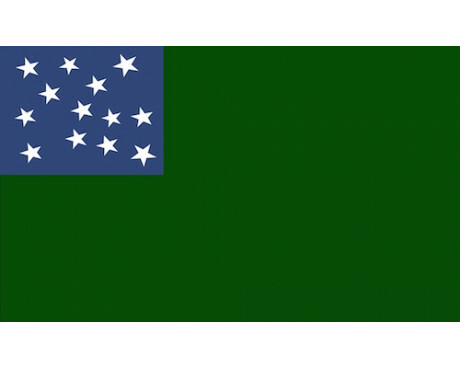 The first state flag of Vermont began as the flag of the Green Mountain Boys, a group of militiamen who fought against Britain during the American Revolution. They became famous when they captured Fort Ticonderoga, and their flag soon became a symbol of patriotism and courage in Vermont. 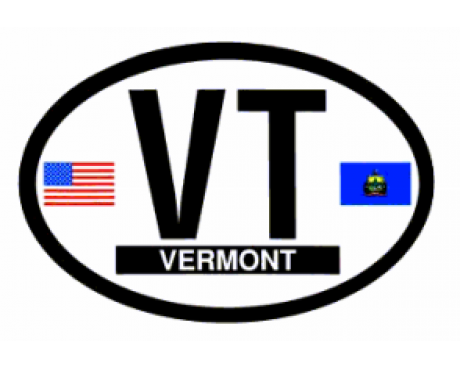 The militiamen were using the flag by 1777, and it was adopted as the flag of Vermont in 1791. 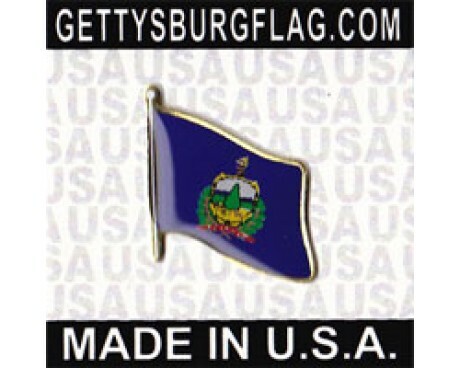 The flag of the Green Mountain Boys was replaced in 1804. The 1804 design was based on the American flag, but it had seventeen stripes rather than the thirteen of the national flag. It also included the state's name inside the uppermost stripe. The design was intended to be identical to the national flag except for the state's name, but the national flag did not gain new stripes when new states were admitted into the Union as the designer had expected. The state's name was removed from the flag in 1837, and the stars in the canton were replaced with the state's seal at the same time. The modern flag came into use almost a century later in 1923 in order to prevent people from confusing the flag of Vermont with that of the United States. The state seal of Vermont shows a pine tree, beneath which is a cow and some sheaves of wheat, date back from 1779. In the background is a green landscape with the Green Mountains. In 1821 became a part of the state's coat of arms with a crest of a stag's head and pine branches on either side of an ornate shield. A scroll below the shield bears the state motto " freedom and unity". These arms were used on a blue background during the Civil War, and this became the state flag in June 1923. The Green Mountains are the center of Vermont that gives it its name. 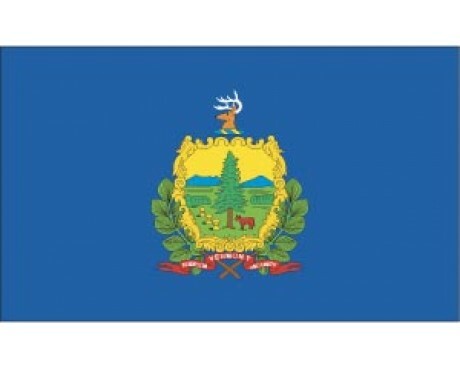 Vermont was part of French Canada until 1760, after which it was disputed between New Hampshire, and New York. 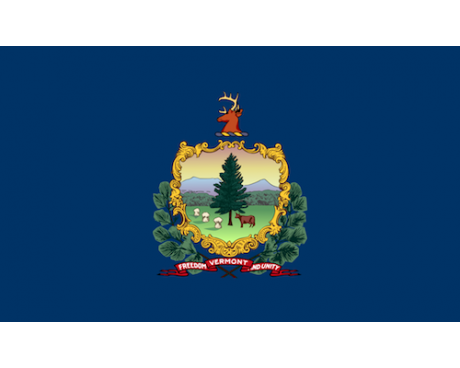 On January 16, 1777 Vermont declared itself independent. 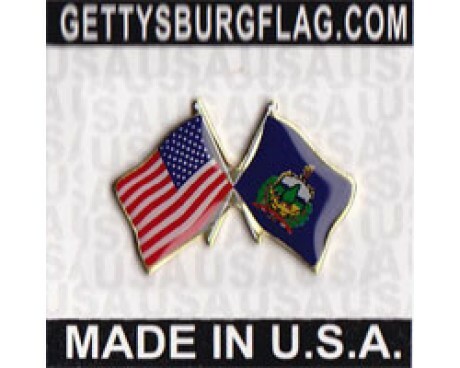 Vermont became a state March 4,1791 after the American Revolutionary War, and it was then allowed to join the Union. The flag was adopted on March 26, 1923.